Makeup, Beauty and More: Five Dry Skin Essentials To Try under $10! Five Dry Skin Essentials To Try under $10! Dry Skin Essentials To Try Under $10, all from the drugstore! Curel’s Itch Defense line is made for dry itchy skin, both the Body Wash and the Calming Body Lotion don’t have a scent and feel more like medicated products that leave a film on the body and protect against dryness. They're not indulgent body care by any means, but do the job quite well! Jergens’ Wet Skin moisturizer has a mild, floral scent and is like a conditioner for the body that is to be used on wet skin, before towel drying. There’s no need for a separate body lotion, its an easy step after shower that keeps skin soft and is pretty amazing for the price! 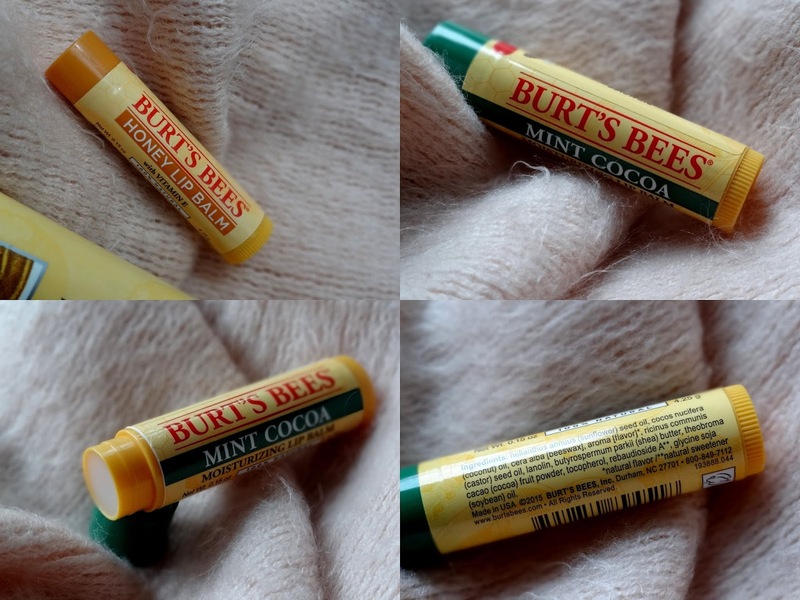 Mint Cocoa is very new, while Honey is an existing flavor. They are good handbag essentials, though not the most heavy-duty. Mint Cocoa has a delicious chocolate scent and is great under lipsticks, while Honey is more of a sweet flavor that isn’t too strong. A beautifully scented foot cream that won’t leave a very greasy residue. Its great for feet that needs just maintainence after exfoliation or a good scrub. Not a miracle cure for dry feet, just good to keep them soft and does’t come with the usual minty tingle or scent most foot creams have.